Not all Hollywood heirs and heiresses live up to the hype and standards set by their parents as most usually fall off after chasing the dream for a while. This is certainly not the case for Jaden Smith, the son of Jada Pinkett and Will Smith who has his hands in every part of the entertainment business and can boast of being somewhat successful. Smith is a talented actor, rapper, singer, and songwriter. He is best known for appearing in movies like ‘The Pursuit of Happyness’ (2006), ‘The Karate Kid’ (2010), and ‘After Earth’ (2013). Jaden Smith was born Jaden Christopher Syre Smith on July 8, 1998, in Malibu, California. As a child of two very famous Hollywood actors, Smith grew up knowing the protruding eyes of the media wanted to know every tiny bit about his life. His parents, on the other hand, tried very hard to shield their son from this and give him a normal upbringing. He attended a private elementary school in Calabasas, California called New Village Leadership Academy before Will and Jada later chose to homeschool him. At around the age of 4, Jaden Smith made his first cameo appearance in his dad’s movie, ‘Men in Black II’ (2002). A year later, he was cast in the sitcom ‘All of Us’ (2003-2006) which was created by his parents. In 2006, he put in a breakthrough performance alongside his father in ‘The Pursuit of Happyness’, which earned him three awards, including an MTV Movie Award for Breakthrough Performance, among several other nominations. His next role was in the sci-fi ‘The Day the Earth Stood Still’ (2008) after which he teamed up with legendary Chinese actor Jackie Chan in ‘The Karate Kid’ (2010). That same year, Smith contributed to singer Justin Bieber’s song “Never Say Never” with a verse to officially launch himself as a rapper. He went on to release his first mixtape titled “The Cool Cafe” in October 2012. In 2013, he returned to the big screen with his father to appear in ‘After Earth’ which did not pan out as their former collaboration; he got awarded the Worst Actor at the Golden Raspberry Awards, a parodic ceremony that honors the worst films. He and his father were together, further awarded in the Worst Screen Combo category at the ceremony. That same year, Jaden Smith reportedly requested an emancipation ruling to set him free from the control of his parents as his 15th birthday present. His motivation was said to be that he wanted a house of his own. The older Smith declined the request but rather promised his son that if he got a movie that turned out to be bigger than any of his, then he would grant him his wishes. Jaden Smith returned to music the following year to release the sequel to his previous mixtape titled “Cool Tape Vol. 2”. His next notable role was in the television series ‘The Get Down’ (2016–2017). Although he continues to work on a few other projects, Smith has in recent times focused on his music, releasing his first studio album titled “Syre” (2017). 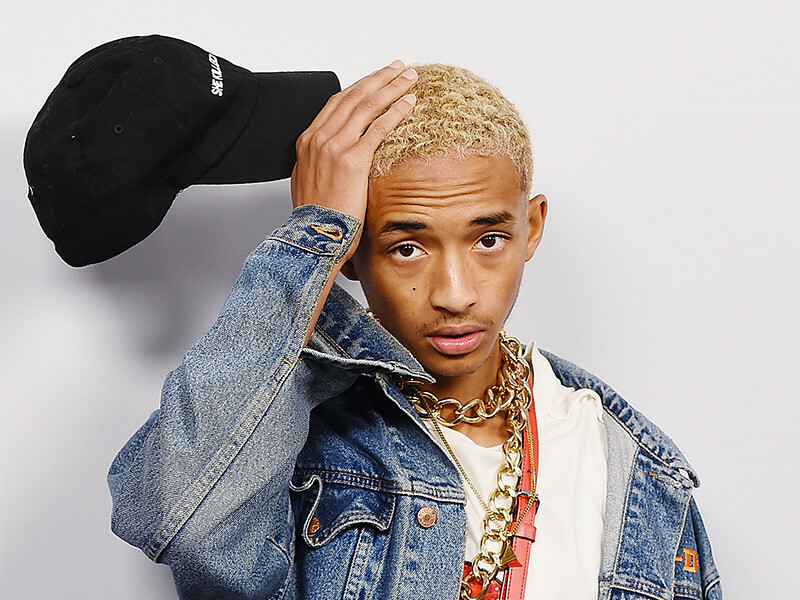 He is set to release the second one, “Syre: The Electric Album” sometime in 2018. Is Jaden Smith Transgender or Gay? Jaden Smith is not transgender and the rumors around his possibly being gay either came about as a result of his choosing to wear female clothes which he said was his way of challenging gender stereotypes. Smith did so in 2016 when he appeared as a model wearing a skirt in a Louis Vuitton womenswear campaign. He immediately became the first male to model female clothing for the French designer. Speaking afterward, Smith said he did not mind taking all the flak for his choice today so that a kid who does so in the future does not get bullied. He has since then, continued to wear women’s clothing on the red carpet and on the runway. He has also been able to use the considerable amount of attention he has been getting for his fashion choice to push forward his business and charity interests. Jaden Smith has been in a relationship with model Sarah Snyder. The young couple started dating sometime in 2015 and have been spotted on the red carpet and other social engagements getting very cozy with each other. However, during a recent show, he dropped a bombshell to his fans that Tyler the creator is his boyfriend, who was also seen among his audience, shaking his head at the time. Tyler, however, neither confirmed nor denied the claim.